There’s always been something about Jay Leno that hasn’t rubbed me right but I’ve never been able to put my finger on exactly what it was. Now I know. Jay Leno is a big baby who is used to getting everything he wants and what he wants is everything. And apparently Jay doesn’t care what his desires do to other people, or how they make him look in the public eye. Johnny Carson passed the torched to Jay Leno and then actually literally retired. Jay Leno passed the torch to Conan O’Brien and basically went no where – except a 10:00 p.m. time slot. 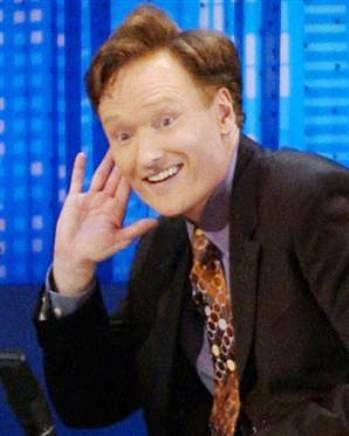 And now that Leno’s new show isn’t working out like he and the folks at NBC thought it would, Conan O’Brien gets the shaft. Oh sure, they’ve set it up to look like it’s Conan’s decision if he leaves, but come on – they’re totally pushing him to it. Earlier today Conan O’Brien released a personal statement and made it very clear he has no intention of continuing to work for NBC. Good for Conan! And shame on NBC!! I feel bad for Conan. 53 queries in 0.944 seconds.